Better gas mileage for your truck means more efficiency and less expense. Here’s how to get better gas mileage in a truck with 7 simple hacks. Did you know the average American consumer spends about $3,000 per year for gas? It’s no wonder that people look for ways to save on gas to lower that expense. Better gas mileage for your truck means more efficiency and less expense. Here’s how to get better gas mileage in a truck with 7 simple hacks. With gas prices going up truck owners are always looking at how to get better gas mileage in a truck. Keep your truck tuned and running regularly and you’ll use less gas. The list below will help you hack your way to better gas mileage. Having proper tire pressure for your truck will have an effect on gas mileage. Consult your owner’s manual of the tire manual to learn more about your specific tires and their pressure. Tires are underinflated can increase rolling resistance. Tires that are inflated to the maximum psi that’s listed on the sidewall of the tire can increase tire wear and be dangerous. There are enhancers that you cost between $20-$30 per bottle that you can pour in when you do your oil change. They claim to give an additional 3 to 5 mpg. You’ll have to experiment to see which brand works for your truck. Don’t ever mix lubricant enhancers. Make sure you wait for the next oil change to pour a new bottle in. Also be careful to not exceed your engine’s crankcase oil capacity. An overfilled crankcase can cause foaming and inadequate oil pickup. This will defeat your purpose of saving on gas mileage. Clean the fuel injectors to make sure they’re getting the right amount of fuel through them without any clogs. You might need a professional fuel system cleaning if your fuel injectors are clogged. If they’re not very clogged you can clean them yourself with different products out in the market such as Lucas Fuel System Cleaner. Clean injectors spray a fine mist of fuel. This makes it easier to ignite and increases gas mileage. You can get better gas mileage with more air flow. Keep your air filter clean and exchange when needed to improve gas mileage. Your trucks engine needs a flow of fresh air coming into the system. If the air filter gets clogged it keeps the air from going into the engine. This causes the engine to have to work harder to compensate for less air flow. In turn, this lowers the gas mileage. If it’s an option for you to use synthetic oil and gear lube for a noticeable boost in gas mileage. Synthetic lubricants and oils reduce the amount of drag that’s inside your engine and rear axle. Another plus of using synthetic oil is that you can go longer between oil changes. Synthetic lubricants and oils have better lubrication and temperature breakdown resistance compared to conventional oils. If you’re able to afford the expense of using synthetic it can be a gas mileage saver. Once you switch to synthetic it’s recommended to not go back to regular oil and lubricants. If you’re not able to financially switch from regular to synthetic then switch depending on the season. During winter months switch to a lower thickness oil can increase efficiency. For example, switching from a thick 20W50 to a thin 5W30 will make a noticeable difference. If it’s freezing outside go even lower to something like 0W40 to expedite oil flow. Please make sure to consult your truck’s manual when making these decisions. It’s important to also see what the manufacturer recommends. Watch when you accelerate and decelerate. Watching how much you step on the gas pedal or breaks will save gas mileage because you’re not taking off or breaking. When you don’t excessively break you get better gas mileage and longer lasting breaks. The faster you make your truck go the more fuel it takes. When you slow down you won’t fight as much wind resistance. When you’re on the highway don’t speed and keep a steady speed to save on gas mileage. As you’re approaching stop lights let the truck slow down naturally. After red lights and stop signs gradually speed up instead of slamming on the gas pedal. When the light turns green don’t burn rubber. A tuner will have options to give your truck more horsepower and increase gas mileage. All tuners have different options and work in their own unique way. Some decrease idle speed and some prevent downshifting by adjusting torque converter. Find a tuner that is simple to use and understand. Some can be very complicated to use and can lead to not using it correctly leading to further complications. There is so much information on how to get better gas mileage in a truck the tips here will help you get on your way to saving money at the gas pump. If you really want a truck and won’t be towing something invest in a truck with two-wheel drive, a five-speed transmission and the smallest motor you can get away with. If you’re towing often then diesel is a better choice which doesn’t come with the option of a mid-size or light-duty yet. If you’re looking for quality products that offer performance, reliability and improved gas mileage for your truck contact us to learn more. Looking for a way to rev up your vehicle’s horsepower? Look no further than full-tilt performance truck parts! While some people think that horsepower is just about the strength of an engine and its torque, it has a lot to do with the efficiency of a vehicle. When you’ve got the right performance truck parts to help you improve your truck’s horsepower, you’re also keeping it working at its optimum level. Aftermarket truck part manufacturers benefit by looking at the finished product and finding ways to improve on good systems. 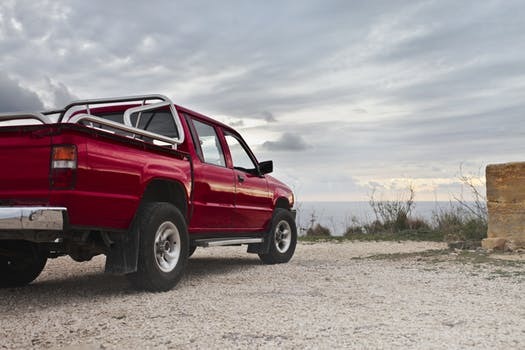 Here are six parts that give you what you’re looking for when you’re optimizing your truck. Not all air filters are created equally. If you want to get the most horsepower out of your truck, you need to consider the kind of filter you’re using. More horsepower comes with more efficient air filtration. To get more air and fuel moving throughout your engine, a better filter can do the trick. There are high-performance air filters that offer the ability to keep air flowing better. You need air to flow freely into your engine to keep your truck moving. A high-performance filter ensures that your truck is performing at it’s ideal. Cold-air intake keeps that vital air flowing throughout your system. Cold air is denser than warm air and offers a major boost to your system. When you add cold air to your system, it gives you much more power. If you add a cold-air intake system, you end up routing cold air from the outside. That air helps your engine’s combustion by giving an extra bit of boost to the flame. That air feeds the engine with a colder and denser power than you’d get normally. To get more horsepower and run more efficiently, a cold-air intake system is the way to go. You need to get more air into your engine but you need to get the air out of it as well. In order to get back out of your engine, a cat-back exhaust system is going to help to lower your back pressure. Performance exhaust headers add to the system by reducing the back pressure from the exhaust, amplifying the cat-back’s work. When you install headers, expect to be taking on a big job. It’s no small effort to remove the parts needed for this project and pulling apart an engine is going to take time. If you don’t know your engine in and out, it’s going to be a challenge to take it apart and put it all back together. Don’t install a header unless you’ve done a professional grade repair before. Otherwise, leave it to a professional so that you don’t make matters worse. There are a lot of different ignitions out there. 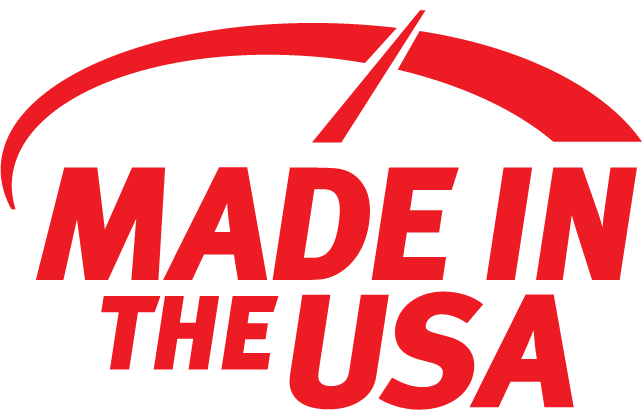 Most of the standard factory-issued ones give you a standard spark that’s good enough to get your car started. However, if you want to get more horsepower, you need to have a hotter spark. A lot of the aftermarket ignitions out there give a hotter spark. When you use an electronic kit, you get rid of the breaker points that are found on older vehicles. These points lead to inefficiencies that keep you from reaching maximum horsepower. If your vehicle truck runs without a distributor, there are hotter coil-on-pack ignitions out there. See what’s available for improving your ignition performance and giving your engine the jump it needs to get moving. There are myriad different types of fuel delivery systems. The fuel delivery system you use determines the economy of your system and how hard it works. When you have to use more fuel for the same amount of horsepower, you’re going to be going a lot slower and struggle for the horsepower you want. Older trucks should be outfitted with aftermarket tools to ensure that they’re using the best possible fuel delivery. While some trucks are sold touting the kind of fuel delivery system they have, it’s often overlooked. So long as it works, most manufacturers don’t worry too much about the details. Your fuel delivery system needs to optimize your fuel and air balance. You’ll get more velocity through the kind of mixture that your system gives you. Combined with your cold-air intake system, you’ll be able to get more power from your engine. You need to be able to mix that cooler and denser air in so that your engine works as efficiently as possible with the fuel you give it. If your vehicle has a computer-controlled engine, there are ways to reprogram them and get the most out of your system. If you have computer controlled delivery and advance timing, you can tweak your system to make them work more efficiently. Get yourself a handheld reprogrammer to optimize your advance timing and fix it to the needs of your truck. A reprogrammer is able to optimize your electronic diesel control, managing your fuel economy and optimizing your fuel delivery. When you improve these things, your horsepower improves through basic efficiency. While most trucks run with a standard transmission, there are automatic systems on the road that drivers love. If you’re one of those drivers, a reprogrammer gives you the option to change the shift points on your transmission. When you switch around your shift points, you’ll get more out of each gear. Follow the instructions as you make changes like this. The engine performance parameters can’t handle drastic changes easily. If you use your truck for work or taking long drives, you need to get the most out of your engine. As you go up and down mountains and highways, it’s vital that your performance truck parts work to help you get where you need to go. When you combine the right parts with the right engine, you’ll drive noticeably better and go from gear to gear with ease. If you’re in the market for a new vehicle, check out our guide for more tips. The truck driving life isn’t an easy one, it takes a special kind of person. And big trucks aren’t cheap. Keeping them running smoothly when you’re adding up the miles takes regular maintenance and care. But even with careful driving and ongoing maintenance, engines and parts wear down and require replacement. One of the most expensive parts to rebuild or repair is the truck engine. Thankfully there are signs you can keep an eye out for that hint at engine damage. 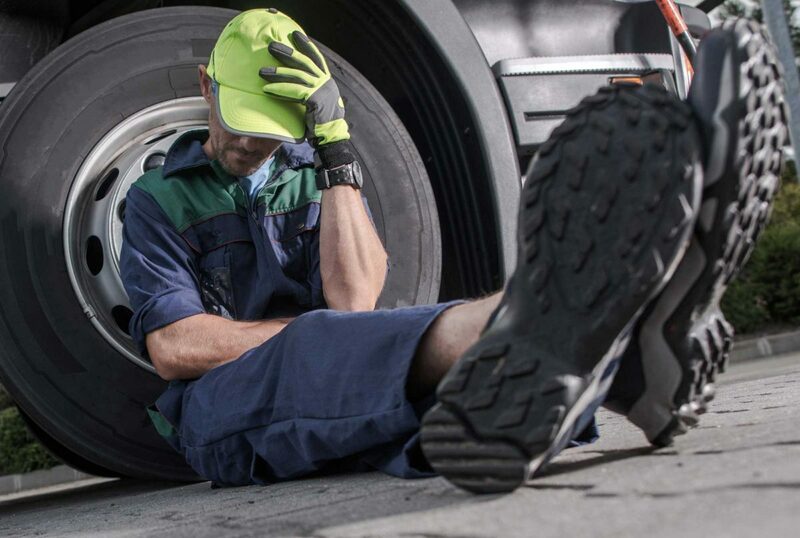 If you’re concerned about your truck’s performance, review these 10 signs that it may be time for a new truck engine. One of the clearest indicators that your truck engine requires maintenance is the dreaded check engine light. Though the potential issues will vary in severity, any time the light goes on, you should have your engine checked. Take your truck into a trusted mechanic and ask for an engine diagnostic service. If your check engine light actually starts flashing, the problem could be a lot more serious. If this happens, stop driving your truck as soon as you’re able, and call a tow truck and a friend to take you home. If your engine is making noises, it’s not a good sign. An issue with the combustion flow is usually to blame. You might hear strange hissing noises, knocking sounds, or popping. If your truck engine is making any of these sounds, don’t delay in getting it checked out soon. Internal combustion engines run on four-strokes including the compression stroke, the intake stroke, the exhaust stroke, and the combustion stroke. These strokes help to convert gasoline into power which in turn moves your vehicle. If you experience a loss of power, this is likely due to a problem with the stroke process. You might not notice it yourself, but if someone else mentions that your truck’s tailpipe is blowing a lot of smoke, you might need a new engine. If the smoke is dark and heavy, this is also an indicator of an engine in need of replacement. Plus, you never want to be the driver that is blowing a ton of heavy exhaust for the drivers behind you to take in. So if you’re noticing a lot of smoke coming from your tailpipe, it’s time to take your truck in. If your internal combustion is struggling, the exhaust that your truck puts off will be paired with a strong, offensive odor. Don’t ignore the odor if you notice it, hoping that it will go away on its own. This smell is a hint of more serious problems with your truck engine and a sign that you could be in need of an engine replacement. Often referred to as “run-on and dieseling”, a common engine problem is an engine that continues to run even after the ignition has been turned off. This occurs when the octane level in the gasoline isn’t right. This issue is particularly common among high-performance vehicles. If you notice your engine continues to run after you’ve parked and turned off the ignition, it’s time to get it checked out. Fuel for vehicles, especially large trucks, is already expensive enough. But when your engine isn’t working properly it will use up even more gasoline than usual. Check your gas gage regularly and be aware of any changes in how frequently you need to fill up. If your gas mileage isn’t what it used to be, this might be due to engine deficiencies. This doesn’t necessarily mean that you’ll require an engine rebuild, but it might. Find a repair shop or person that you trust to help you diagnose the issue. If your truck is misfiring, you might have a loss of compression, in which case a complete engine rebuilt or replacement is your only option. Misfiring is frustrating and it’s bad for the health of your engine, so always pay attention when you start your truck up to see if you notice any signs of misfiring. If so, take your vehicle in before it gets much worse. When you’re replacing the oil in your truck and you notice oil on your pin, this is a sign that your engine isn’t functioning at full capacity. Oil sludge is wasted oil or coolant that has not been used and is often a red flag of more serious issues going on with the engine. If you come across oil on your pin when changing your oil, the need for a new truck engine might be in your future. Another oil problem that pops up when your engine is struggling is when your vehicle requires oil changes too frequently. Getting an oil change is a normal part of regular truck maintenance. But if it seems like your truck goes through oil too often, you might need an engine replacement or rebuild. Roughly speaking, you should need about 1 quart of oil for every 1,000 miles driven. So if it’s a lot more than that, it’s time to get things checked out. If you discover you need a truck engine rebuild, you’ll find all the parts you need on our website. Keeping a big truck running smoothly can be expensive, but more so when you don’t have quality parts to back your vehicle up. Our full performance engine parts improve your truck’s performance and help it hold up against intense driving conditions. Contact us for help choosing the right parts or with any questions you might have.